Airplane quality decals are a great option for posting no smoking reminders in the bathrooms on any aircraft. 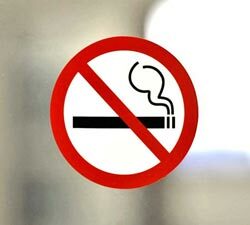 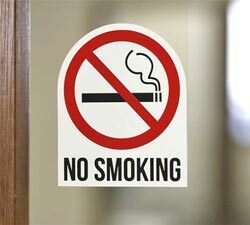 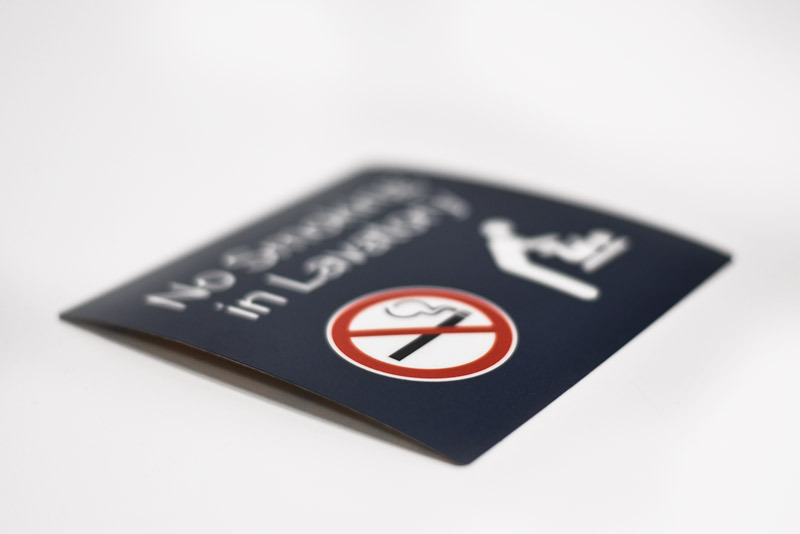 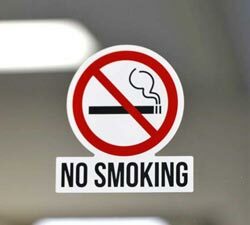 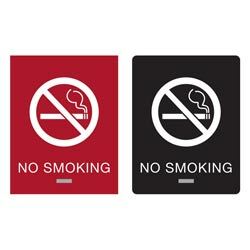 These vinyl no smoking decals are made from a laminate that is nearly indestructible and can endure the day to day wear and tear of use in any environment (not just airplanes). 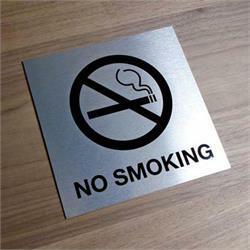 These are easy to adhere to any smooth surface and just as easy to keep clean. 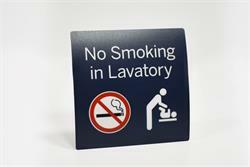 Dark blue, red and white standard sticker design includes "NO SMOKING IN LAVATORY" text with no smoking symbol and also includes a baby changing station graphic to let people know your bathroom is equipped for it. No smoking labels for planes are available in 4" x 4" and 6" x 6" standard sizes. 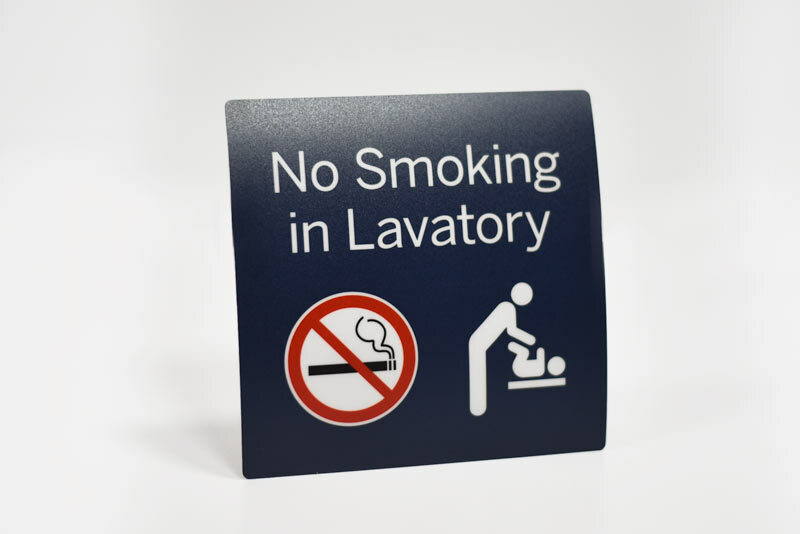 If you require a size not listed, please contact our customer service team via e-mail at service@officesigncompany.com or via phone at (701) 526-3835 with all of your details and they will send you pricing.